Over the past 20 years, the rise of the billionaire has been faster and more frequent than at any point in time. Startups, software, hardware, Internet services, and other tech companies have fueled a new generation of super-wealthy, self-made individuals the likes of which the world has not seen in more than a century. Obviously, we cover a lot of technology billionaires here at Celebrity Net Worth. We all know Bill Gates, Elon Musk, Mark Zuckerberg, and Jeff Bezos. But have you heard of Lucy Peng or Brian Acton or Rishi Shah? All three of these tech entrepreneurs are part of the billionaires club. All nine people on this list have made most of their fortunes in the past three years. We've left off tech billionaires like Evan Spiegel who technically qualifies for this list, but is too high profile to be under the radar. These tech entrepreneurs have a combined net worth in the trillions of dollars. They come from different countries and all lead exciting, dynamic companies. Lucy Peng was one of the 18 co-founders of Alibaba. She held a number of positions at the company, including CEO of the mobile payments service AliPay. Alibaba spun off AliPay and the company rebranded itself as Ant Financial. Peng stayed with the company that has a valuation of $74.5 billion. Peng made the billionaires list for the first time in March 2017. Brothers Patrick and John Collison grew up in a small village in Ireland. They taught themselves to code at a young age. Patrick graduated from high school at 16 and headed to MIT and John followed him a few years later enrolling at Harvard. In 2009, they both dropped out of college to head west to Silicon Valley. They had a big idea. The brothers launched the online payment company Stripe. A new funding of around $150 million in December 2016 valued Stripe at $9.2 billion – and made the Collison brothers billionaires. Adam Neumann moved to the U.S. from Israel in 2001 after a stint as an officer in the Israeli army. He founded the co-working office company WeWork in 2010 after selling GreenDesk, an eco-friendly co-working space in Brooklyn. WeWork rents communal rent spaces for as little as $45 a month and has grown into a $21 billion business with offices in 40 cities across the U.S.
David Zalik moved from Israel to Alabama with his family when he was four years old. He was only 12 when he scored exceptionally high on a standardized test score and Auburn University came calling and asked him to enroll. He skipped high school and started classes at Auburn. At the same time, he founded a company called MicroTech that assembled computers. Eventually he got busy enough with that that he dropped out of Auburn. Zalik sold MicroTech in 1996 for a few million dollars. He was 22 years old. He moved to Atlanta and started investing in commercial real estate. After a few years of that he got bored and started a web and mobile-development consulting firm called Outweb where his customers included, Coca-Cola, Home Depot, and Benjamin Moore. The idea for GreenSky grew out of those consulting projects. GreenSky is not the loan originator. It contracts with merchants who sell expensive items like furniture and home improvement projects, including window replacement, aluminum siding, or roofing. Then it matches the merchant with one of a group of banks willing to extend loans to qualified consumers. The typical GreenSky borrower has an average FICO score of 760, so they are relatively low risk borrowers for the financial institutions they are matched with. Frank Wang founded Dajiang Innovation Technology Co. (DJI), which accounts for 70% of the consumer drone market. Wang launched DJI out of his dorm room in Hong Kong in 2006. Wang financed the early days of DJI with what was left of his college scholarship. At the time, DJI's product sold for $6,000 to state-owned power companies and Chinese universities. Also at that time, Wang didn't realize how big the drone market could be, or how much he could reduce the cost of manufacturing his product. By the end of 2012, Wang had pulled all of the pieces together for a complete drone package and the company debuted the Phantom in January 2013. The Phantom is the first ready-to-fly, pre-assembled drone. It costs $679. Before the company's Phantom drone hit the market, people who wanted a drone had to build one themselves to the tune of thousands of dollars. At first, DJI planned to just break even on the Phantom's retail price. Wang made an entry-level product to prevent his competitors from getting into a price war. What Wang didn't anticipate was that the Phantom would quickly become DJI's best selling product. The Phantom increased DJI's revenue fivefold. It sells equally well around the world, with 30% of revenue from the U.S., 30% from Europe and 30% from Asia, and the remaining 10% from Latin America and Africa. It is rare for a company to come along and dominate a market at just the time it makes the transition from hobbyist to mainstream but that is exactly what Frank Wang has done with DJI. After graduating from the University of Pennsylvania with a bachelor's degree, Acton headed to California to get a Master's degree in Computer Science at Stanford in 1994. His first job out of school was at Apple. His next stop was as the 44th employee at Yahoo. Of course, as such an early Yahoo employee, Acton made a fortune in the first wave of startups. Acton's shares swelled in value as Yahoo's stock reached an all time high of $118.75 per share in early January 2000. Of course, it was not long before the NASDAQ crashed. Over the next year and a half, Yahoo's stock price dropped 93%, and with it Acton's fortune was wiped out. However, when Jan Koum walked into Yahoo, he and Acton quickly bonded. In 2007, they quit Yahoo. Acton and Koum tried unsuccessfully to get a job at pre-IPO Facebook. Acton proceeded to apply for jobs at every hot tech firm in the Bay Area. He was rejected by all of them including Twitter. It turned out to be a massive stroke of luck that neither Koum nor Acton landed a job in Silicon Valley. The duo launched WhatsApp in 2009. It quickly grew into the largest free messaging service in the world. The app got so big that Facebook bought it for $19 billion in cash and stock on February 19, 2014. Rishi Shah is the son of a doctor. He dropped out of Northwestern to found Outcome Health. The company sells tablets and other large touchscreen devices to doctor's offices and other healthcare providers. Outcome also provides software that allows healthcare providers to communicate with their patients about their treatment. Shah owns 80% of the company that was valued at $5.6 billion in May 2017. 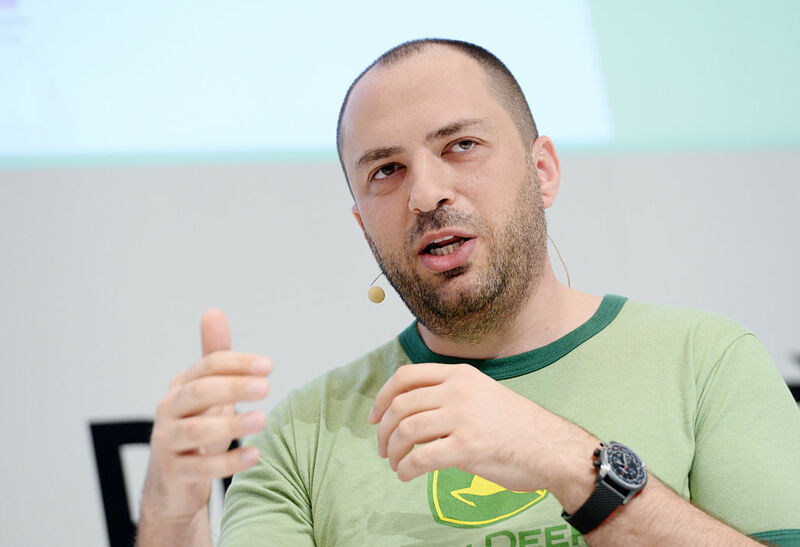 Jan Koum immigrated to the United States from Ukraine with his mother and grandmother when he was 16 years old. They settled in a small, two bedroom apartment in Mountain View, California, able to do so only because of the assistance of a social support program. While the teenaged Koum worked at a grocery store, his mother babysat for a living so that the family could make ends meet. When he wasn't at work, Koum immersed himself in learning computer networking. At 18, he enrolled at San Jose State University to study programming. He landed a job at Yahoo in 1997 as an infrastructure engineer. In 2009, Koum, alongside Brian Acton, launched the messaging app WhatsApp, which he subsequently sold to Facebook for $19 billion. When Koum was signing the papers for the multi-billion dollar acquisition of his company, he chose to do it on the steps of the welfare office where he and his mother used to go to obtain their food stamps. In a recent interview, Collison was open about how much of that success can be attributed to his own intelligence and work ethic and how much it can be linked to other, external factors like luck. At 27, Stripe co-founder John Collison is just two months younger than Snap's Evan Spiegel, making him the youngest self-made billionaire in the world.